Johannesburg – The Sudanese government of president Omar al-Bashir literally held a gun to South Africa’s head to secure his safe return to Khartoum. the African Union summit in Sandton, Johannesburg. He arrived on Saturday night. Heavily armed Sudanese soldiers surrounded military bases in Kutum, Mellit, and Malha. 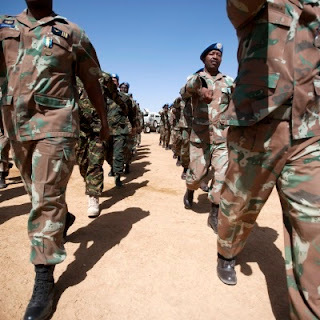 South African troops were placed in a state of combat readiness.